These look exactly the same as the Gensdarmes but there are some small differences - the musician's coat is blue not red and the rankers have silver buttons amongst that clutter of gold lace. 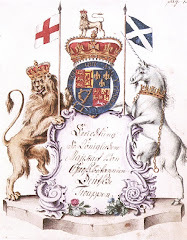 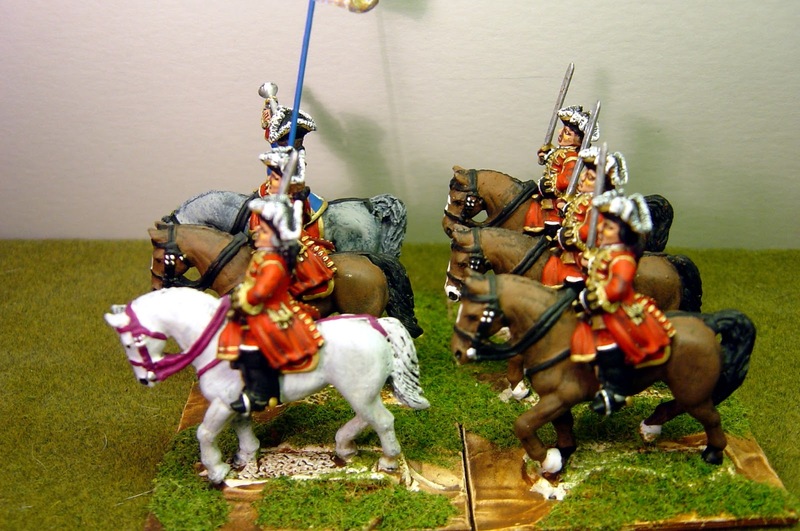 The officers and musicians rode grey horses, the rankers bays. 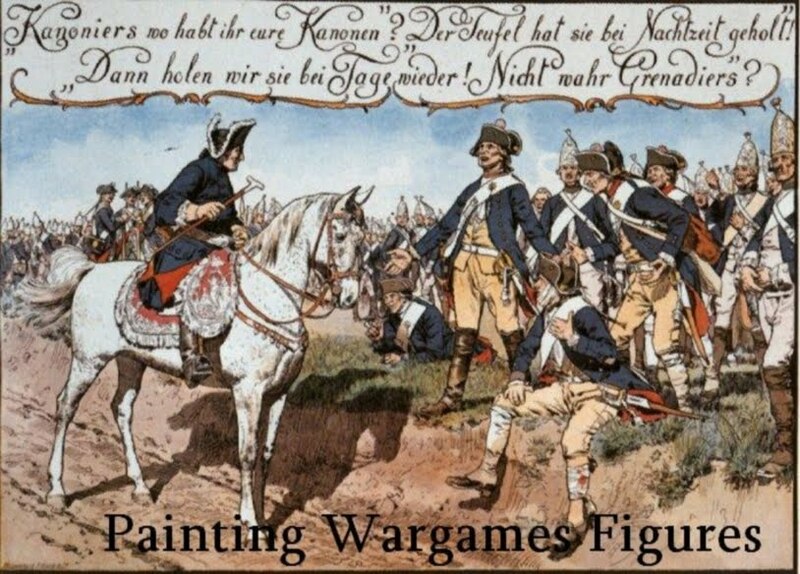 This regiment was almost wiped out in the WAS at the battle of Dettingen. 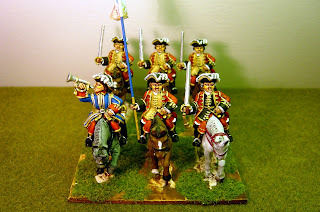 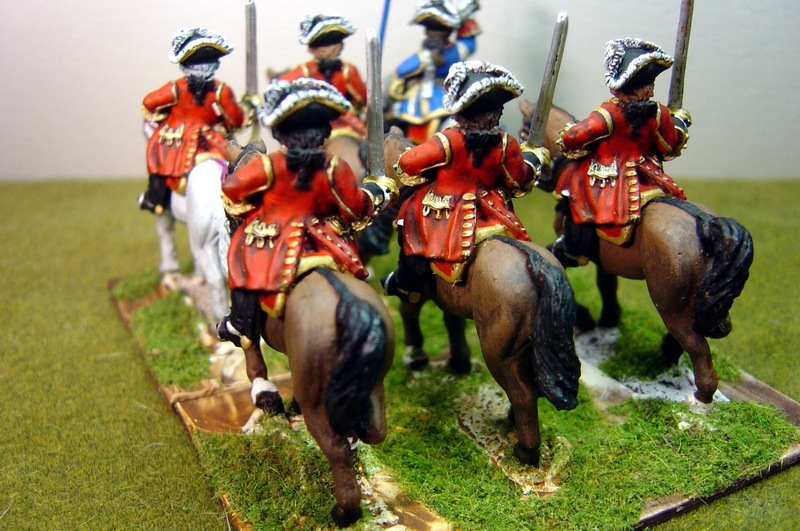 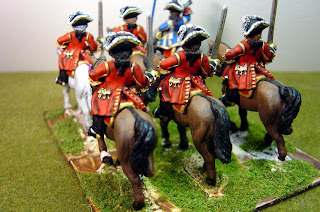 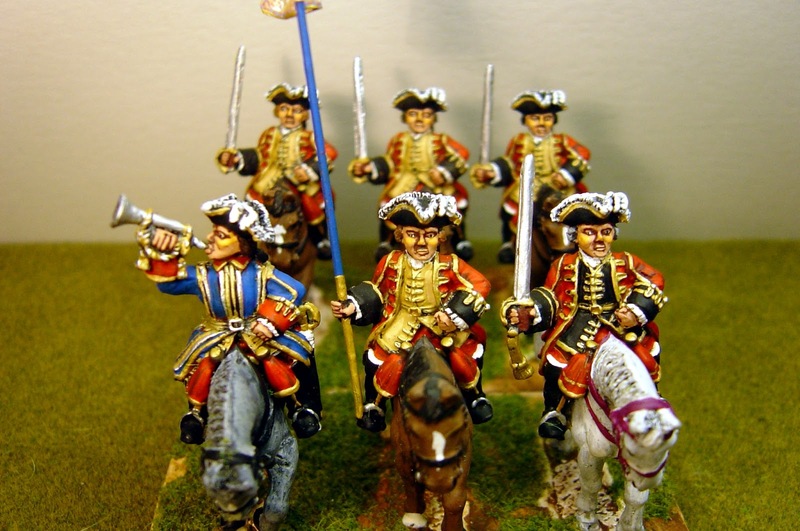 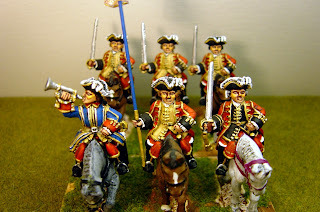 That completes the French guard cavalry although I'll be doing the Gendarmerie later on in the year.